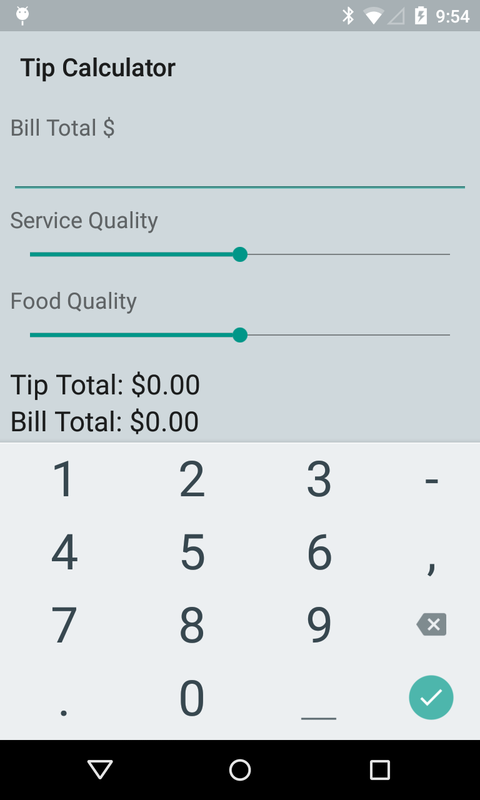 This is the only tip calculator app that takes both Food and Service quality into account. 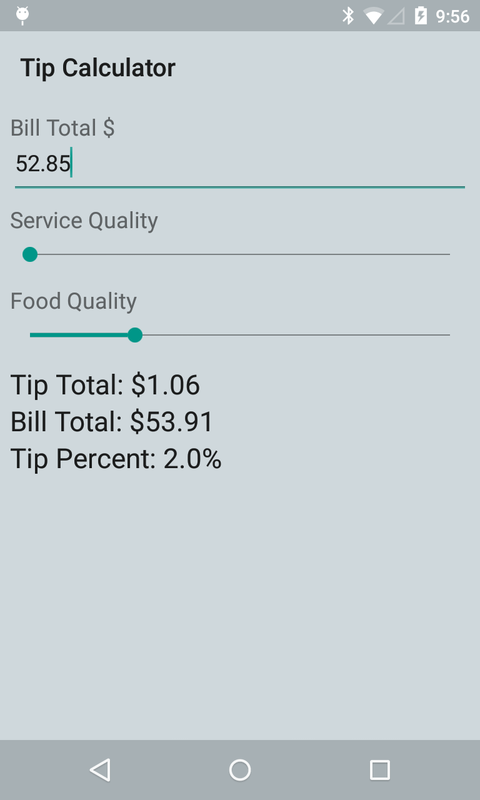 Enter in the bill amount, and instead of picking your tip percentage, adjust the food quality and service quality sliders. 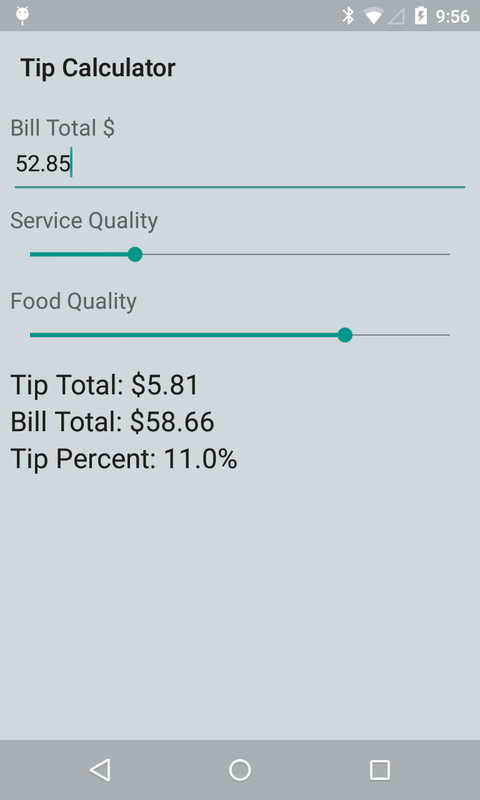 The app will tell you what percentage of tip is appropriate. The easiest way to calculate gratuity on your phone! Use it on a date and your special lady friend will be calling you back for sure. Download Tip Calculator today!